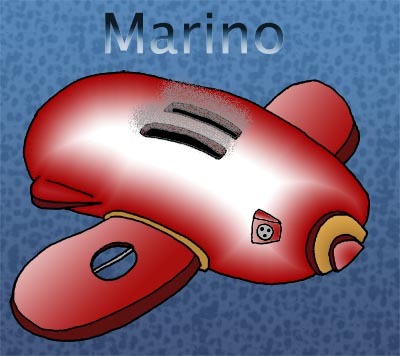 Marino was deployed near a navy base and quickly learned to adapt it's behavior to military-level ships and personnel. It is able to calculate an optimal trajectory and engine cutoff times to approach any craft without being detected. Experimental heat-based weapon and reactive and learning AI.